I just finished trying this new mascara from my February Ipsy Bag. I didn’t know what to expect, and I’m glad to say, I really like this mascara. I feel like mascara reviews are better with pictures than words, so here we go. *Ignore my red eyes, I have naturally dry eyes, and they got worse because I kept holding them open to try to get decent pictures. 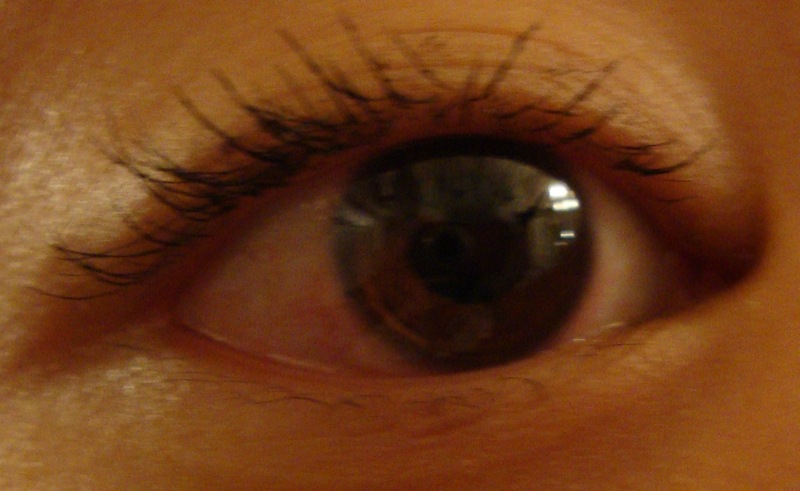 1 coat of mascara. Sorry for the blurry picture, I didn’t notice it was that bad until I uploaded it! A side view of my lashes. 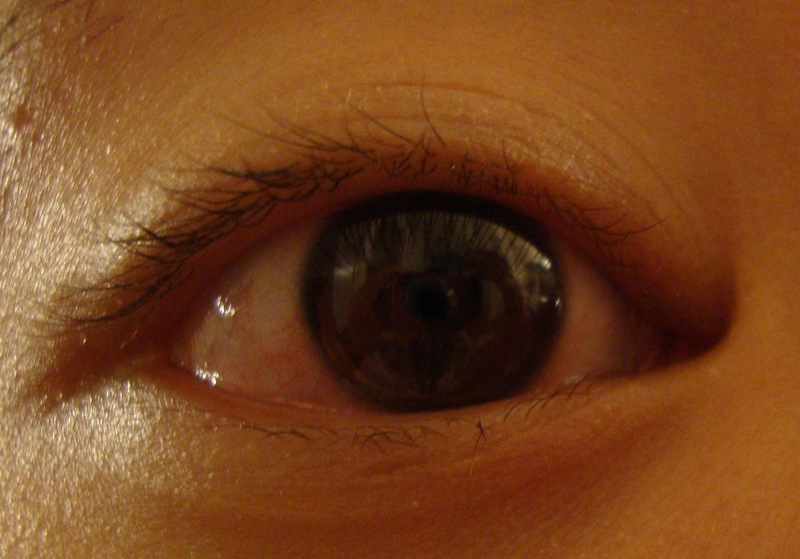 As you can tell from the beginning picture, I have long-ish lashes, but they are very thin and sparse. They are so thin that without mascara, they seem non existant. When I normally use mascara, I first prime my lashes with Diorshow Maximizer Lash Plumping Serum, but in order to correctly test this mascara out, I skipped that step. With that being said, I think this mascara did a great job! The mascara is very black and helps to make my lashes look much more volumized. They make my lashes look a little clumpy, but I prefer that. Actually, if you let the mascara dry between coats, it gets pretty clumpy, so if you prefer neater lashes, I would recommend finishing one eye before you move on to the next. I would work fast because this mascara dries pretty fast. 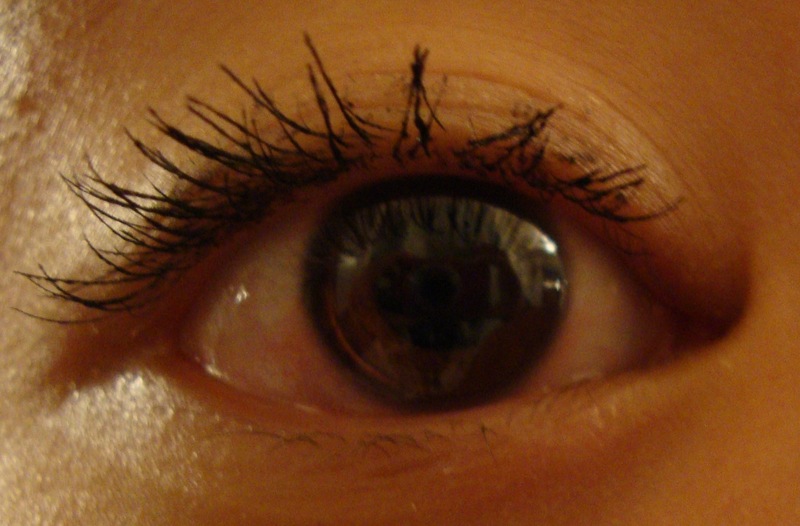 Shortly after applying the mascara, I ran my finger under my lashes, and no mascara rubbed off. Hopefully this means that their won’t be any smearing or smudging. I won’t have this on for very long, so I won’t be able to test that out now, but I will edit this post when I do. *edit: I have worn this mascara for about an hour and it smudges. This may because I have oily skin or it just smears in general. This problem may be fixed if I use a primer first or use a clear coat over the mascara.